Steps and pool fence lead down from the house to an above ground pool. A deck and pool fence has been constructed around the pool with a three meter square gazebo in one corner. 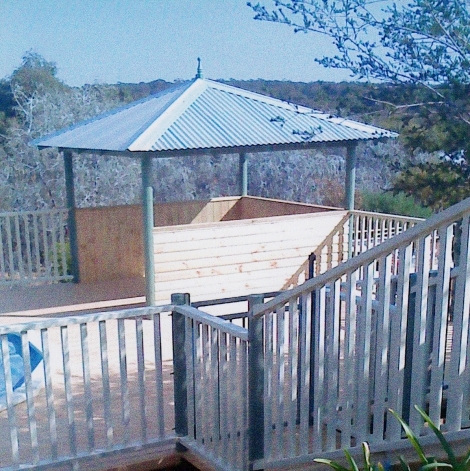 The pool fence has been constructed using LOSP treated Design Pine, approximate cost $120 per meter.